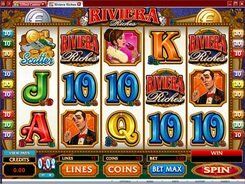 The slot will transport you to French Riviera, a popular destination for the rich, royalty and artists from all over the world. 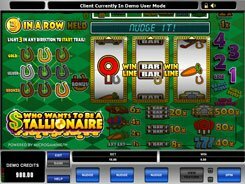 In this 5-reel 15-payline slot, everything exudes luxury and high living. The symbols set includes playing card icons, cigars, casino chips, a red car, a posh mansion, a tycoon and a gorgeous lady with a glass of wine. 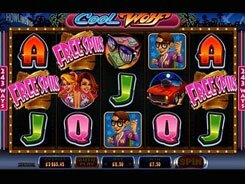 You can place a bet anywhere between $0.01 and $150, but playing at max you are in with the chance of winning the jackpot of $15,000. 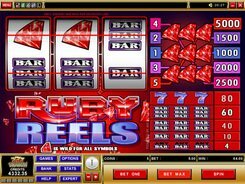 The slot features a wild, scatter symbols, free spins and a unique Roulette Bonus. 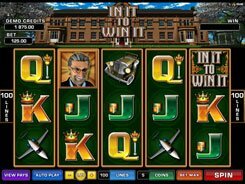 As for a free spins feature, you are awarded 12 free games with all payouts tripled if you hit three or more scatter symbols anywhere in view. 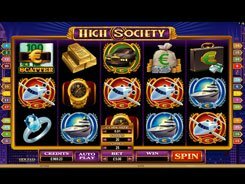 Another feature, and perhaps the most lucrative is the Roulette Bonus activated by two Bonus symbols. In the Roulette Bonus you will have two spins on the roulette wheel. You should place a chip on any number from 1 to 36 on the roulette table. Your stake will be spread over all the associated bets related to that number. For example, picking 5 means that “Red”, “Odd”, “1st Dozen” and other related bets will be in play for your stake.